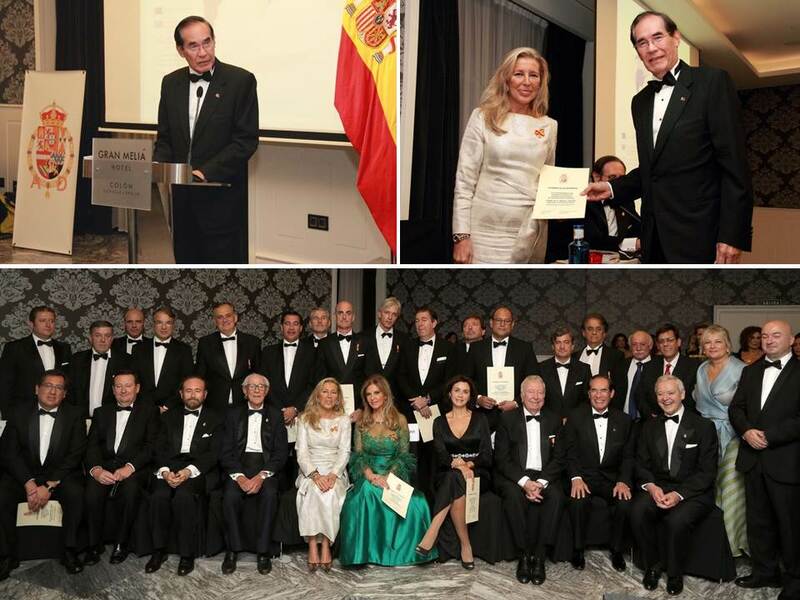 Ambassador Carlos C. Salinas was named an “Honorary Fellow” by the Academia Diplomacia de España for his contributions in the development and promotion of relations between the Philippines and Spain, in his capacity as Ambassador. The awarding ceremony took place on 31 October 2015 in Seville with the presence of Ms. Sofía de Borbón, President of the Academia. The Academia recognizes both Spanish and foreign diplomats, as well as people from other professions who have contributed significantly in the development of Spanish bilateral relations with other countries or in the development of international relations. The other “Honorary Fellows” named in the same ceremony were Mr. José Luis García Palacios, President of Caja Rural del Sur, and Mr. Antonio Pulido, President of Fundación Cajasol. The Academia de la Diplomacia was founded in Spain by a group of Spanish Ambassadors. It conducts a study and analysis of international issues and organizes conferences, courses and seminars on international subjects. The Academia publishes a magazine entitled “Diplomacia del Siglo XXI”.